Angels watch over all who cross the Ponte Sant'Angelo to visit one of Rome's most popular attractions - the Castle Sant'Angelo. Built in 134 AD by the Emporer Hadrian, the Ponte Sant'Angelo spans the Tiber River and welcomes its pedestrians with stunning views of the Castel Sant'Angelo. 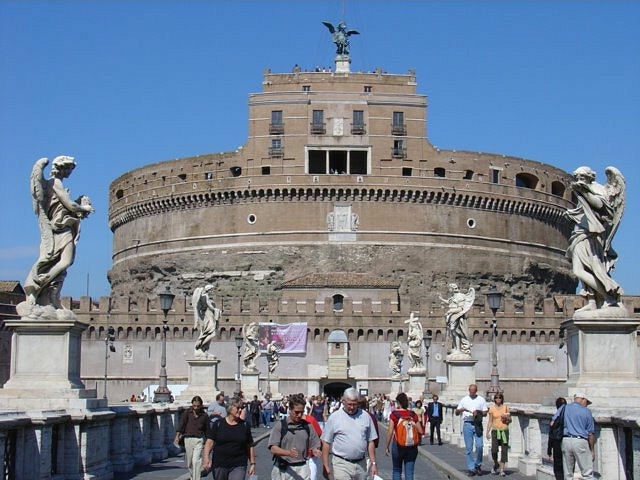 Discover more about this imposing fortress in my Angel and Demons Tour through Rome.